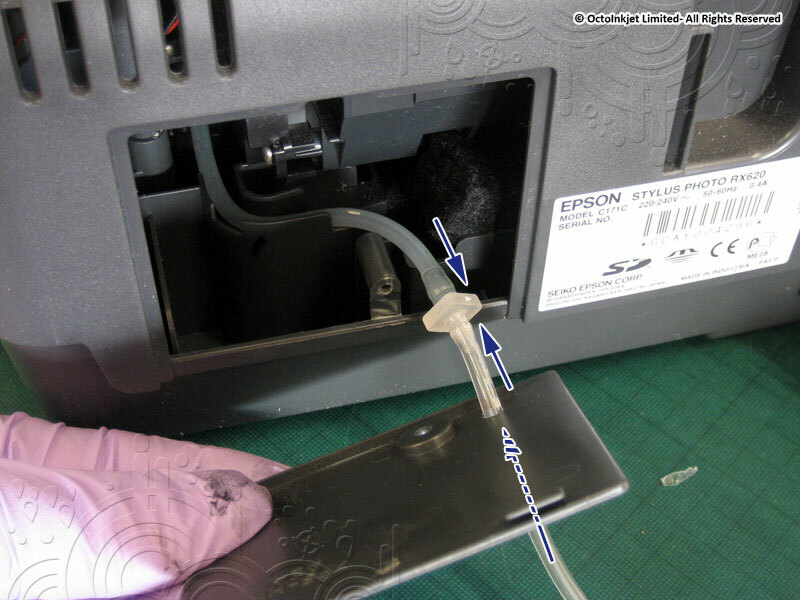 This printer uses the Solo+ waste ink kit. 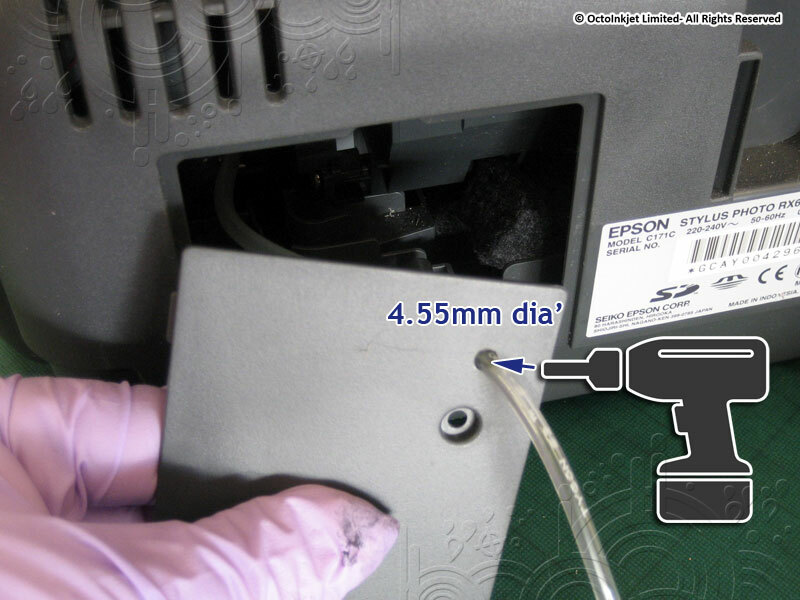 Removing the little foam block (shown partially removed, right) may help. 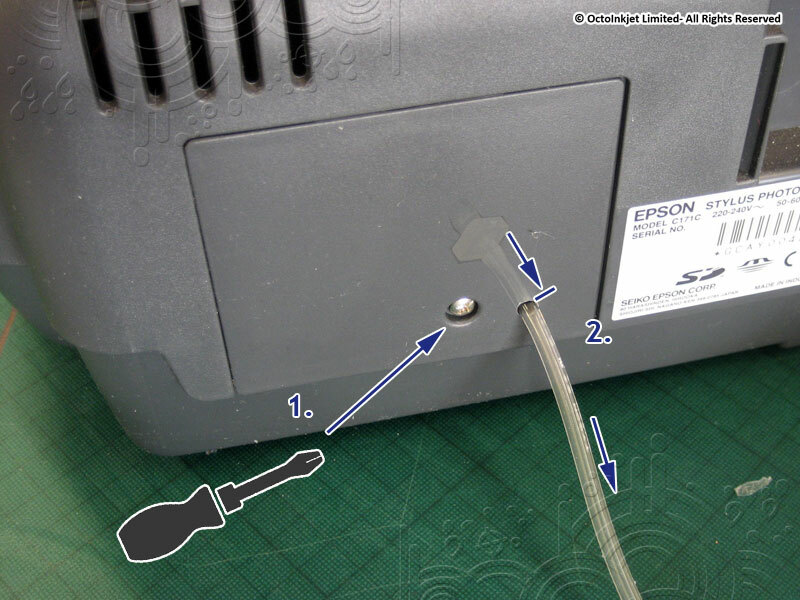 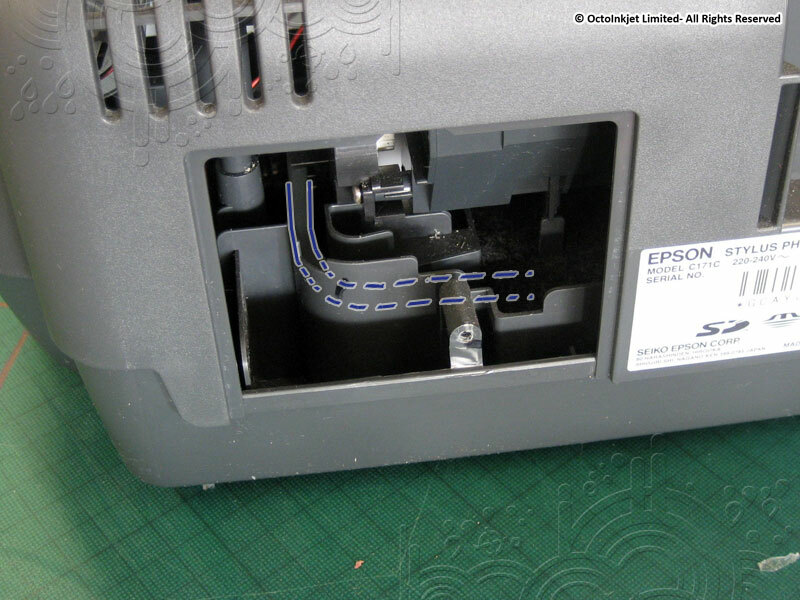 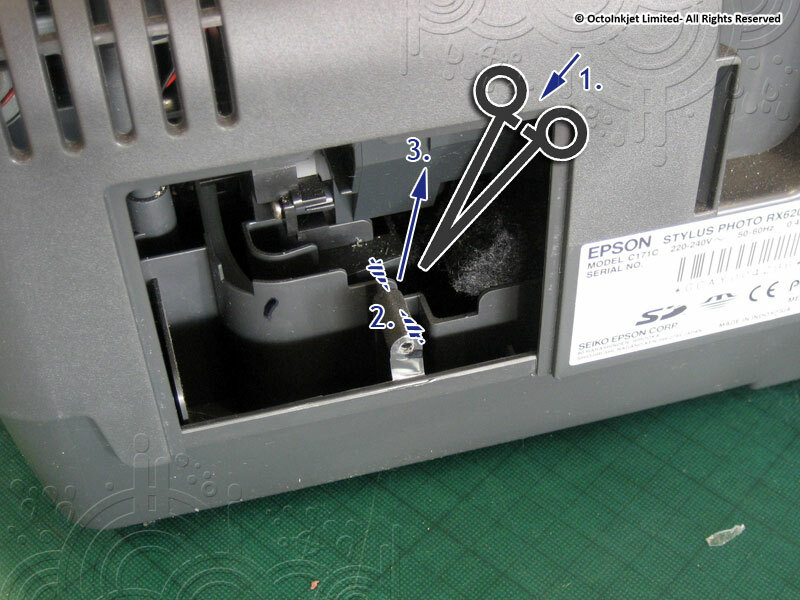 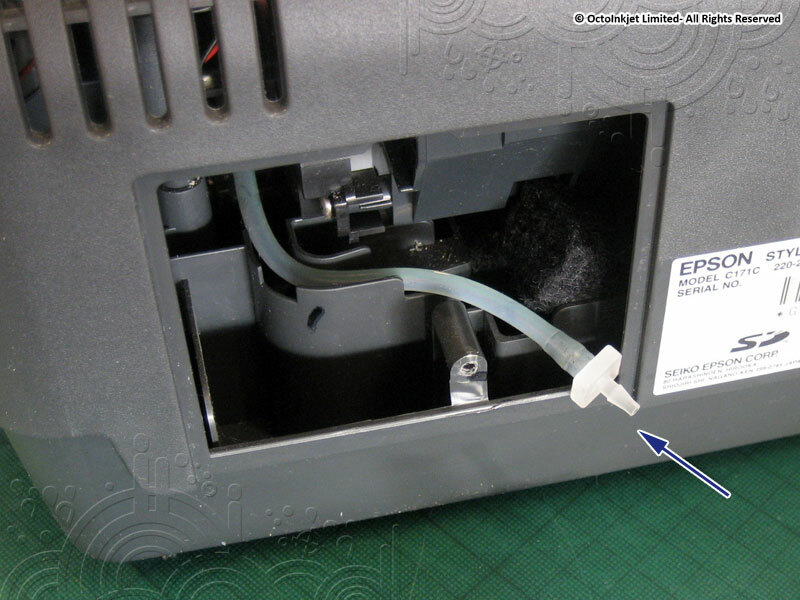 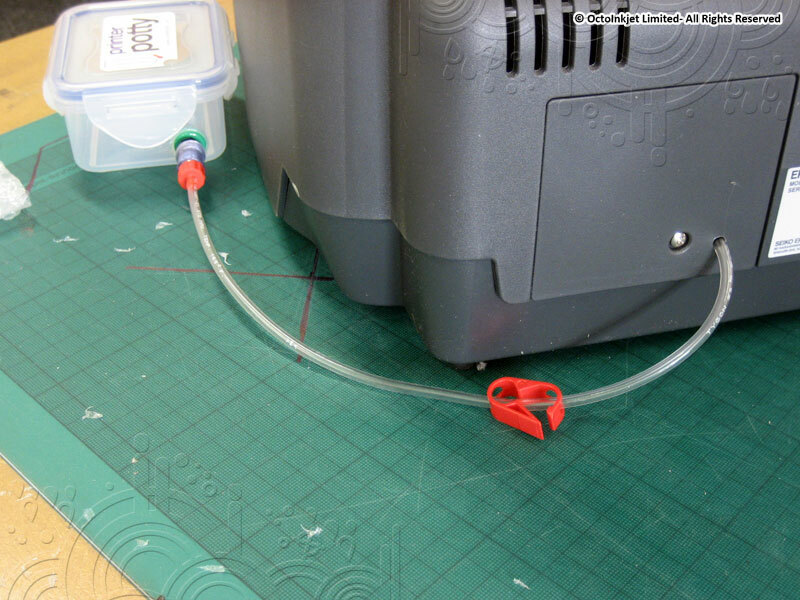 The clear connector will act as a strain relief inside the printer to stop the tube being pulled off or broken internally. 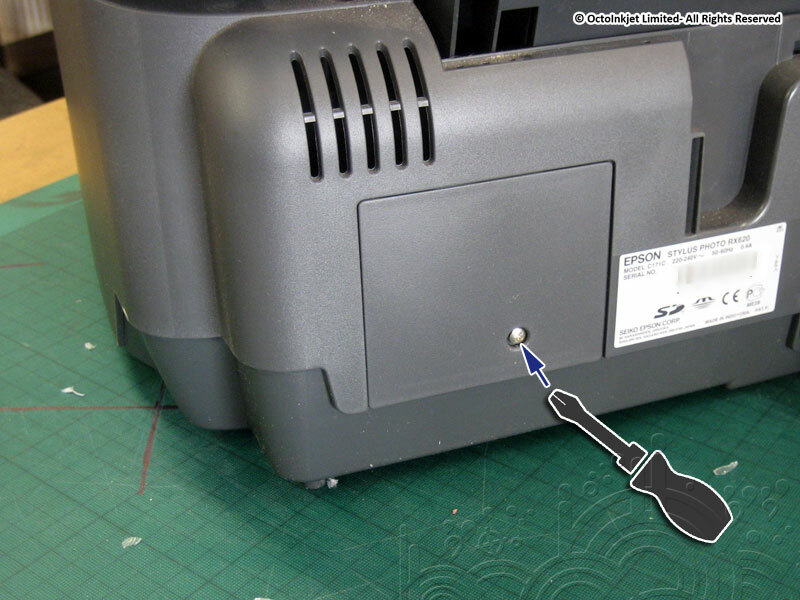 To drill use a 4.5mm diameter drill bit. 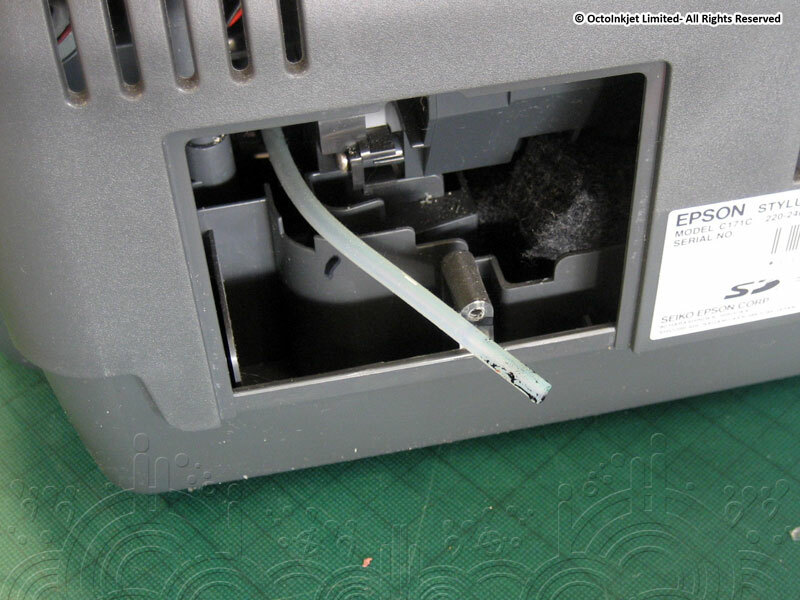 Pull the tube out to remove excess and bring connector up against inside of hatch. 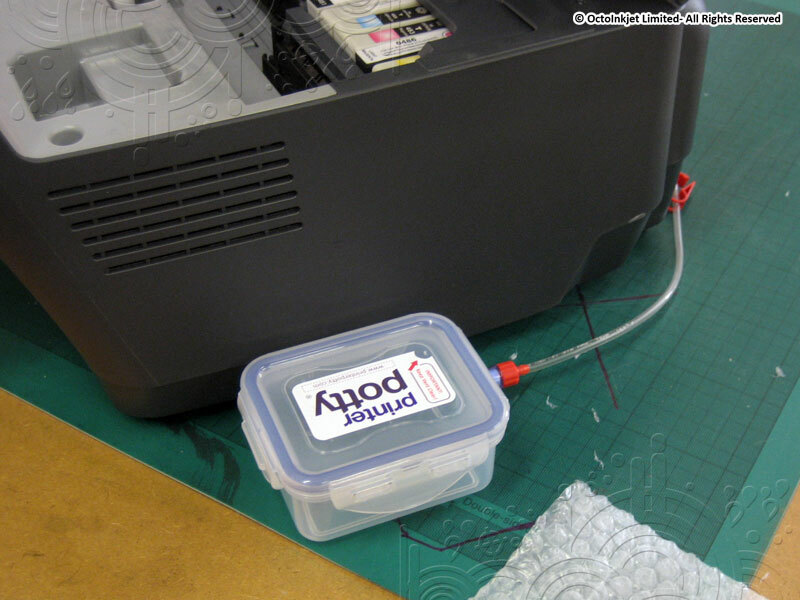 The tank is best placed next to the printer (as shown) but just make sure it’s on the same level as the printer and can be easily accessed, not forgotten and that’ll be fine.